"Photography has always been about the highest technology of its time," says Johnson, whose stunning photographs grace the permanent collections of institutions and museums throughout the United States including the J. Paul Getty Museum. Indeed, this widely collected photographer has devoted much of his career to challenging technology to help him translate what he sees into art. In his new book, Johnson provides details for balancing composition, science, craft, and artistry to produce beautiful, real-world photos. Above all, he urges readers to trust their personal artistic sensibilities. Johnson made photographic history with his digital national parks project. He is also credited as the major influencer at the core of digital imaging through his consulting work for Adobe Systems, Apple Computer, Eastman Kodak, Epson, Foveon, and Hewlett-Packard and was named to the Photoshop Hall of Fame in 2003 for his achievements. No look at photography would be complete without a discussion of ethical issues. In his timely chapter, Johnson explores the ethics of digital imaging, reviewing the history of photo altering, image manipulation and propaganda, and editorial distortion. Some readers will undoubtedly mine "Stephen Johnson on Digital Photography" for its tips, tricks, and techniques, while others will focus on the ideas and philosophy. This is the one book for digital photographers aspiring to take better pictures and explore their artistic impulses. 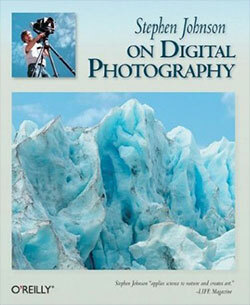 Buy Stephen Johnson on Digital Photography at Amazon.com for $25.19 (37% discount). Photography's evolution into an electronic medium has a long history, unknown to most of us. Some of the earliest devices for recording and transmitting electronically based images date well back into the mid19th Century. Technologies for document reproduction, spy cameras and satellites, space imagery and publishing were all the precursors of today's dramatic transition into digital photography. 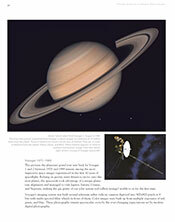 This dynamic and compelling evolution began considerably earlier and was more advanced than is generally understood.